Livingroom City Center offers smart accommodation within 5 minutes’ walk of Girona and Tetuán Metro Stations. It has free Wi-Fi and a shared lounge area with a TV and computers. Livingroom City Center is set in a bright Modernist building with high ceilings and French balconies. 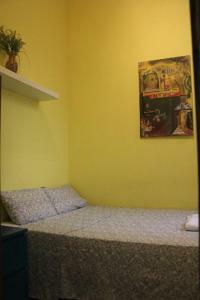 Rooms have modern décor, a fan, heating and access to a shared bathroom. 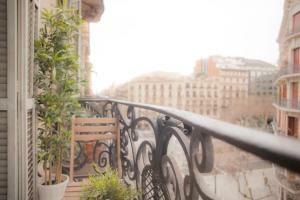 Cafés, bars and restaurants can be found along Carrer Girona, Gran Vía and nearby Passeig de Sant Joan. 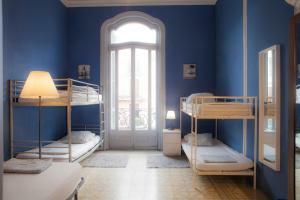 Staff can provide information on Barcelona’s many attractions, free walking tours and nightlife. 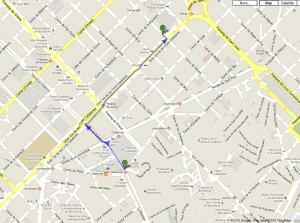 The famous Sagrada Família, Passeig de Gràcia and Gaudí’s La Pedrera and Casa Batlló are within 20 minutes’ walk of the Livingroom. 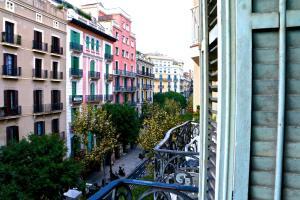 Plaza de Catalunya, Las Ramblas and the Gothic Quarter are just 3 stops from Girona Metro Station. Guests are required to show a photo identification and credit card upon check-in. Please note that all Special Requests are subject to availability and additional charges may apply. Please inform Hipstel Gran Vìa in advance of your expected arrival time. You can use the Special Requests box when booking, or contact the property directly with the contact details provided in your confirmation. Set in a bright Modernist building with high ceilings and French balconies, this spacious room has modern décor, free Wi-Fi, a fan, heating and access to a shared bathroom. 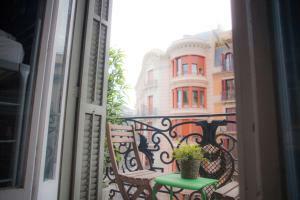 There is a balcony with a table and chairs looking onto the street. Set in a bright Modernist building with high ceilings and French balconies, this smaller room has modern décor, free Wi-Fi, a fan, heating and access to a shared bathroom. Rate: € 26.90 ... € 69.00; select dates below to get current rates. 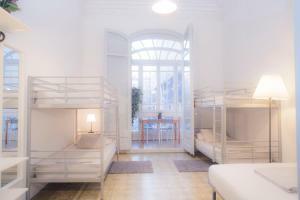 Rate: € 24.00 ... € 69.00; select dates below to get current rates.